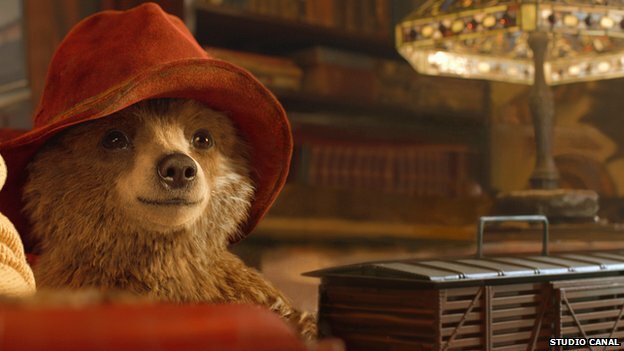 I've been anxiously waiting for the release of Paddington Bear since first hearing about it, as a child I loved immersing myself in Paddington's tales. A cheeky bear prone to the odd accident or two he lies at the heart of many a young child, his life like qualities, extremely good manners have been charming us all since 1958. The film did not disappoint. It tells the story of Paddington's beginnings, his arrival in London and his subsequent adoption (somewhat reluctantly at times) by the Brown family of Windsor Gardens. Beautifully acted especially by the ever increasingly talented Ben Whishaw who is the voice of Paddington. His voice has the right childlike naivety required that embodies the spirit of this bear, making him totally believable. The bright colours and good honest humour renders this one of the funniest and most heart warming films I've seen in a long time. The film equivalent of a warm hot chocolate and mince pie in front of an open fire in deepest winter, it depicts Paddington's adventures in the colourful West London perfectly. As you can probably tell I fell head over heels in love with the feeling of being transported into a charming, magical world normally reserved for children. If you're at a loose end this weekend, do no hesitate in taking a trip to the cinema to see this beautifully 'British' movie! I've already pre ordered the DVD that's how much I loved it!